The 2017 Atlantic Biorefinery Conference will feature local and international technology leaders who are transforming natural resources into high value products. Presentations topics will address current developments in biofuels, bioenergy, aquaculture, marine, forestry, value-added waste streams, renewables, and regulatory. Speaker additions are ongoing. Sign up for our mailing list to receive updates. Ken Magnus is the Chief Executive Officer of the Atlantic Council for Bioenergy Cooperative (ACBC), founded in December 2010 to educate and promote the development of a sustainable bioenergy industry in Atlantic Canada. Ken was the lead author, in collaboration with BioNB and the ACBC board of directors on ACBC’s published report on “Fueling the Future: Atlantic Canada’s Bioenergy Opportunities Project”. Born and raised on a family farm in rural Saskatchewan, Ken has been involved in private sector business and government for most of his adult life. He served four terms as an elected official in Municipal Government and was a member of the Board of Directors for SaskEnergy Corporation, before moving to a career with the Government of Saskatchewan as Special Advisor to Cabinet and Senior Adviser to the Premier. Ken later worked as a senior Government official in Economic and Rural Development, where he played a prominent role in the development and implementation of a provincial biofuels development policy, including a multi-million dollar incentive package for building the industry. Ken also served as a Board Member on the Saskatchewan Biofuels Development Council and a Provincial Representative on the National Council of Energy Ministers Working Group on Renewable Fuels. François is passionate about everything invisible. He studied at the Université de Sherbrooke, where he obtained a B.Sc. in biotechnology and an M.Sc in microbiology. While employed at the Institut national de recherche scientifique (INRS – Eau-Terre-Environnement), he gained solid experience in laboratory and pilot scale fermentation. He also has useful experience in wastewater reclamation, inoculum production, microbial identification through molecular biology and microorganism isolation. Since the summer of 2014, François has been working with the CCNB team at the Biorefinery Technology Scale-Up Centre. He manages microbiology projects and, thanks to a team of dedicated technicians and to the equipment at his disposal, such as material for strain identification and fermenters ranging from 2 to 1200 L, François is perfectly equipped to undertake new projects with the industry. Bruce Peachey, President and CEO at New Paradigm Engineering Ltd.
Mr. Peachey graduated with a BSc in Chemical Engineering (’76) from the University of Saskatchewan, and is a Fellow of both the Engineering Institute of Canada (EIC) and the Chemical Institute of Canada (CIC). He has almost 40 years experience in the upstream energy industry, mainly on projects related to energy efficiency, water conservation and sustainable recovery of hydrocarbons. After graduation, Bruce spent 16 years with Imperial Oil, with 12 of those years working on Imperial’s Cold Lake and mineable oilsands projects, and the rest in conventional upstream oil and gas facilities, including both management and senior technical specialist roles. In 1991, he left Imperial and formed New Paradigm Engineering to “engineer new paradigms” or new ways of looking at chronic sustainability problems in the oil, gas and energy industries related to oil recovery, water management, methane vent reduction, energy efficiency and long-term R&D needs studies. He was a founding member of the Petroleum Technology Alliance Canada (PTAC) in 1996, and is a sessional lecturer at the University of Alberta, instructing 4th year Petroleum and Chemical Engineering students, as well as a course on “Environmental Stewardship – Energy, Carbon and Water”. In 2004, Bruce became part of an international, multi-disciplinary team, funded by Carbon Management Canada (CMC), to investigate "Bioconversion of Coal by Enhanced Engineering Pathways into Fuel Products." A result of that work was the development of the concept of in-situ bioconversion of coal in legacy mines, as a means to access the energy in coal with minimal GHG and environmental impacts, as well as low capital costs. Dr. (Ms.) Deepika Dave is a Research Scientist in the Centre for Aquaculture and Seafood Development (CASD) at the Marine Institute of Memorial University of Newfoundland. Dr. Dave has over 16 years of increasingly responsible experience in engineering, science, management, research, training and facilitation. Dr. Dave specializes in the areas of bioprocessing, biotechnology and waste Utilization (including production of high value molecules such as nutraceuticals and pharmaceuticals from marine waste resources), environmental engineering (including waste characterization, water/ wastewater treatment, management and utilization, remediation of contaminated air, water and soil) and energy production and management (including characterization of biomass, size reduction, production of bioethanol and biodiesel). She is a principal investigator for the delivery of the product and process design, industrial and development services. 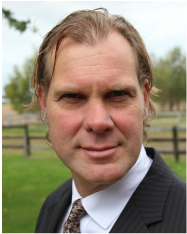 ​John Hawkes is Founder and President of Wayside Energy Inc. and CEO of Angus Power, a subsidiary of HH Angus Consulting Engineers Ltd. Over the last 10 years, John has led a number of renewable energy projects with a focus on solar, CHP, storage and biogas. John has been a strong advocate within the sector and with governments, raising awareness of the need for funding and support of distributed power. John started his career with Rolls Royce in the UK and then in Canada and has held senior leadership roles with Rolls Royce, GE, Honeywell and M.A.N. John speaks at many conferences and has been active in the Canadian Biogas Association for many years, as chairman for the past two. Outside of work, John is active in vintage motorsport, an avid cyclist and sings in the rock choir, New Choir. Michael McMullin, Process Engineer at ADI Systems Inc.
Mr. McMullin holds a Master’s degree in chemical engineering from the Technical University of Nova Scotia, and is presently a Senior Process Engineer with ADI Systems Inc., a global company specializing in design-build wastewater treatment facilities. 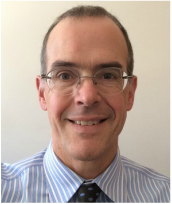 His expertise in the wastewater treatment field includes projects within North America, Australia and South America. Over the past 29 years at ADI, Mr. McMullin’s responsibilities have included process design, trouble shooting, operator training and mentoring/supervising support staff. He specializes in design of biogas handling and treatment systems for anaerobic digestion projects. He also holds international patents for proprietary technologies for biogas odor removal and removal of arsenic from drinking water. 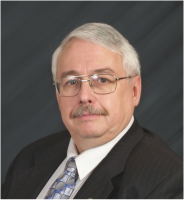 In addition, Mr. McMullin has been a member of the American Water Works Association Research Foundation project advisory committee, and has served as reviewer of USEPA and Canadian Department of National Defence documents on water/wastewater treatment plant design. He has published over two dozen papers related to water and wastewater treatment and biogas handling. ​As a lifetime resident of Southern Alberta, Thane Hurlburt brings more than 40 years of experience in the agricultural sector. He started to explore the potential of bringing Biogas technology to Canada in 2001 and is considered a pioneer in the emerging Bioenergy markets in Canada. His vision and leadership is the foundation for the development of Lethbridge Biogas LP’s first biogas/cogeneration facility in the County of Lethbridge. Thane is co-owner/operator of an Alberta ranch that runs a 300 head commercial cow/calf and a 500 head Savanna goat/commercial goat operation just outside of Fort Macleod, AB, and co-owner and operator of a mid-sized sand and gravel company on the same property. As past President of the Alberta Ready Mixed Concrete Association and the Canadian Ready Mixed Concrete Associations, Thane sat on marketing committees in Western Canada in the late 90’s promoting the use of sand and gravel in agriculture for concrete production. The issues these committees were trying to help solve were feedlot smells, dairy/hog smells, over-acidification of soils leading to ground water contamination, manure management, nutrient management, etc. This led to the idea of investigating biogas technology in Germany to assist in these developing issues. After 7 trips to Europe, 12 years of development, including 1½ years of construction with their partner PlanET Biogas, Lethbridge Biogas’ first generator started producing electricity in April of 2013 with a grand opening in December of that year. Today they can produce almost 3Mw of electricity and 3Mw (eq) of thermal energy derived entirely from organics, with approvals to expand to 4.2Mw electric. 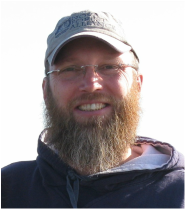 ​Kevin Keys is a professional forester (RPF) and soil scientist (PAg) with more than 25 years experience in soil and site assessment in the Maritime Provinces and across Canada. He holds a BSc in forest management from the University of British Columbia, an MSc in forest soils from the University of New Brunswick, and is currently working on a PhD from Dalhousie University focused on spruce plantation nutrient management. Kevin leads the Site Productivity Group within NSDNR Forestry Division and collaborates extensively with academic, industry, and government partners on various projects related to forest soil assessment, soil mapping, site classification, long-term site productivity, and forest nutrition management. Victor Oh is an analyst on Lux Research’s Alternative Fuels Intelligence practice and provides ongoing technology scouting and strategic advisory services for Global 1000 clients vested in the energy sector. Particularly, Victor helps clients explore strategic partnerships and identify disruptive technologies to generate low-carbon transportation fuels, energy, and chemicals from biomass, waste, and other non-traditional sources. 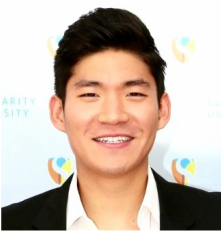 Victor is an alumni of Singularity University’s 2013 Graduate Studies Program, an entrepreneurial program founded by Google, NASA, and Genentech to empower leaders in leveraging emerging technologies to solve global problems. He is also recipient of the 2012 Odebrecht Award for Sustainable Development. Victor graduated from the Johns Hopkins University with a M.S. and B.S. in Chemical & Biomolecular Engineering and a minor in Entrepreneurship & Management. The "Institut Européen de la Bioraffinerie de Pomacle Bazancourt": A Business Model Suitable for the Atlantic Region? Until the recent spin-off of BioAmber Inc. from Diversified Natural Products, Laurent BERNIER was Vice President R&D working on the restructuring of DNP's succinic acid division more particularly on the management of its IP portfolio and various scientific and business partnerships. Prior to joining BioAmber and Diversified Natural Products, Dr. BERNIER was Vice President Eastern Canada for Foragen Technology Management Inc., a venture capital fund created to help commercialize early-stage, advanced agricultural technologies from Canadian sources. Before Foragen, he was the founding Executive Director of BioNB (formerly known as BioAtlantech), New-Brunswick's lead agency for the development of the bio-industries and had been previously Vice President Life Sciences for Inno-centre, a Montreal-based organization dedicated to helping advanced technology entrepreneurs start up commercial ventures. 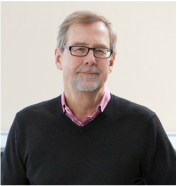 As an industrial researcher, Laurent BERNIER has held various research and managerial positions at C-I-L, ICI Canada and Zeneca BioProducts, where he directly contributed to the discovery, development and launch of five biotechnology-related products and services. ​He is listed as an inventor of a dozen biotechnology related patents and has published extensively in the area of agricultural and forestry biotechnology. Dr. Bernier has held various adjunct professorships and has been a guest lecturer at several Canadian universities. He received his Ph.D. in Microbiology and Immunology from the University of Montreal. He was a recipient of an INSERC industrial post-doctoral fellowship conducted at FPInnnovations (formerly the Pulp and Paper Research Institute of Canada or PAPRICAN) in collaboration with McGill University in Montreal. 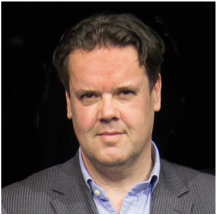 He is currently Chairman of the Board of CRIBIQ (QC) and AIREX Énergie inc.
Mr Gerd Van de Logt is Managing Director of Green Gas Netherlands (GGNL), and also heads up the renewable gas & bio-based activities for sustainable energy company Eneco. Before he joined Eneco, he worked at The Idea Factory, Hewlett-Packard and Akzo. He was active in the fields of strategy and innovation. Gerd is member of the Supervisory Board of 2 bio-energy companies. He holds a master’s degree in Law from the University of Amsterdam. GGNL represents around 120 public-private organizations to develop the Dutch and international renewable gas market ( biogas, biomethane, syngas, bioLNG ). He recently launched a deal with a consortium and the Dutch government to accelerate the bio-based economy. Within this consortium leading sustainable companies like DSM and Akzo and parties like the port of Rotterdam want to design a roadmap for and invest in multiple valorisation of biomass. Mark Lumley, Vice President and CEO, Fairwind Farms Inc.
Mark Lumley is Vice President and CEO of Fairwind Farms Inc., a family owned cash cropping enterprise located in Sarnia Ontario. The farming operation consists of a rotation of corn, soybeans, wheat and sugarbeets over an area of about 4,500 acres. Mark also has farming interests in Uruguay South America and is involved in humanitarian farming in Zambia, Africa. He holds Honours Bachelor of Music and Bachelor of Education degrees from the University of Western Ontario (1992), and has recently completed an MBA in Agriculture Management from the University of Guelph. Mark is a “retired” professional musician and high school music teacher who now spends his time farming, doing family activities and contributing to the local, national and international community. 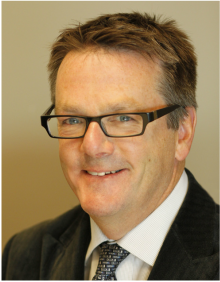 Mark has received the Premier’s Award for Innovation Excellence (2008), Sarnia Lambton Chamber of Commerce Outstanding Business Award - Innovation (2011), Business Leadership (2015), County of Lambton Rural Organization of the Year (2006). Mark is currently involved in the community as founding board member and Chairman of Ontario Sugarbeet Growers Association, Chairman of Sarnia Lambton Chamber of Commerce, member in leadership of Michigan Sugar Company and American Sugarbeet Growers Association, founding member of the re-formation of the Canadian Sugarbeet Association and founding committee chairman of the Brian Fox Memorial Agricultural Scholarship Fund. Mark and his partner Melissa have 4 children. As a graduate of the University of New Brunswick and a Registered Professional Forester, Allan has worked in forestry and natural resource management related areas for almost 35 years. He has worked extensively with resource management issues for both Federal and Provincial levels of government as well as the private sector. In the last several years, Allan has been deeply involved with the forest Industry in Nova Scotia helping to manage transition issues. Innovation and training have been major focuses during this period. 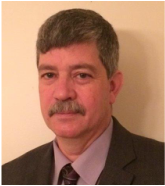 Allan has been with the Nova Scotia Department of Natural Resources since July 2008 and was appointed Associated Deputy in April of 2013. Among other things, his current responsibilities include Forests, Forestry and Forest sector innovation and transformation. ​Commercialization of Biocomposites and Green Building Products in Western Canada: Where Are We? ​Sean McKay has held the position of President and CEO at the Composites Innovation Centre located in Manitoba since its inception in 2003. This not for profit corporation supports and stimulates economic growth through innovative research, development and application of composite materials and technologies for manufacturing industries. 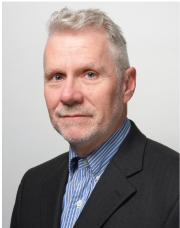 He has a wealth of knowledge and experience in composite materials related technologies with over 36 years of industrial experience within the aerospace, ground vehicle and, most recently, industrial bioproducts sectors. He has been a major proponent for building a robust biomaterials industry in Canada. This has included developing and executing integrated programs related to producing bioproduct prototypes to engage industry, conducting technology development projects to overcome technical barriers holding back their use in industrial and construction applications and implementing robust supply chains from the producer to the end user. This effort has included creating national and international relationships that have entailed executing projects in Australia, China, US and Europe. He also leads a recently launched national network focused on developing quality standards for industrial bioproducts.